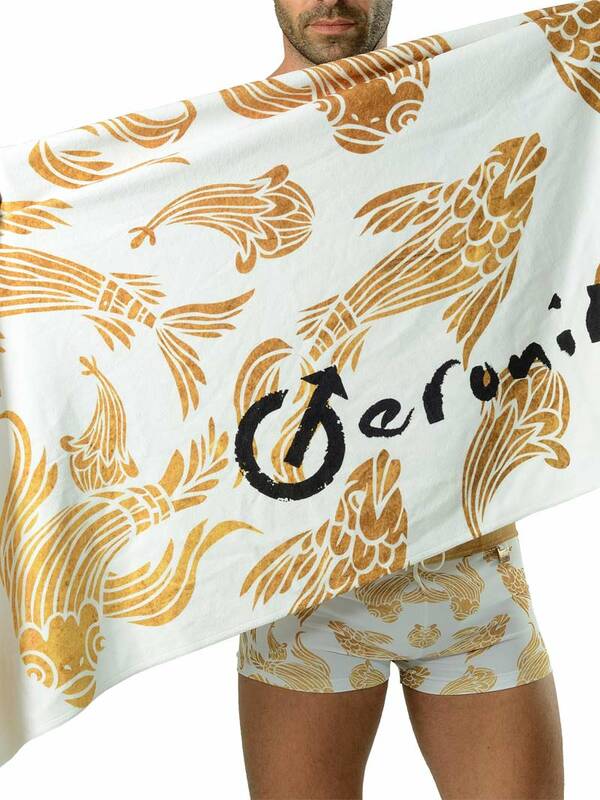 Hit the beach or pool in style this summer with a Geronimo 1609x1 White Koi fish beach towel. 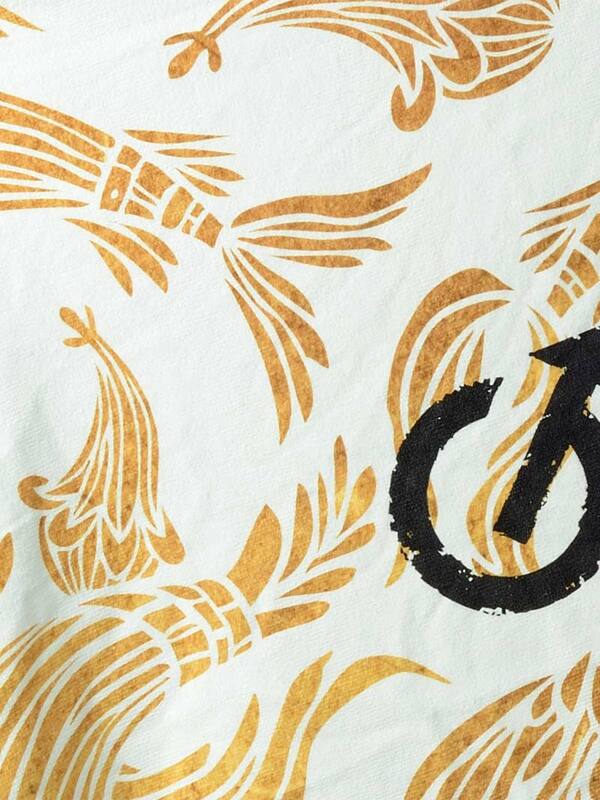 Featuring a delightful gold Koi fish prints, set against a white colored background. This low lint specially designed to be sand-resistant, long-lasting towel makes the perfect addition to your summertime style. If you want something fast drying so you can get up and go without making the contents of your bag soggy this bech towel is perfect for you. Size: 70 cm x 140 cm; 30" x 60"